Keep time in contemporary style, with this stylish watch from Folli Follie's collection. 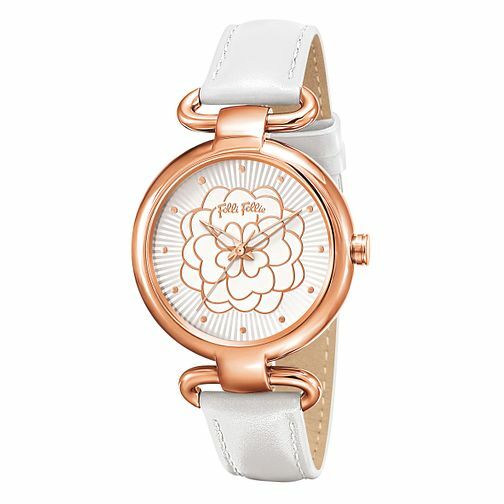 Featuring a white leather strap, rose gold plated case and fresh white patterned dial. An irresistible statement piece from the affordable luxury fashion label.